God has bestowed on Pakistan four seasons, Winter (November to February), Spring (March and April), Summer (May to September) and Autumn (October). 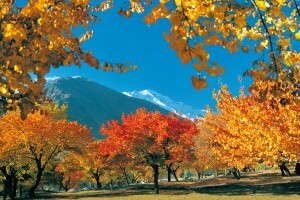 Autumn is more attractive especially for photophotogrphy tours in Baltistan and Hunza valley. 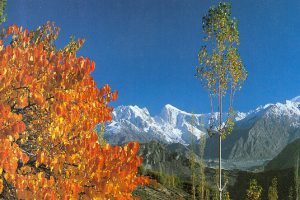 During autumn the landscape of Baltistan and Hunza valley looks like a painting, the trees throughout the valley seem to be on fire as their leaves turn gold, red orange and bronze, contrasting sharply with the barren mountains, their tops covered with snow and emerald green waters of the river snaking through the valley, it is a photographic dream come true. 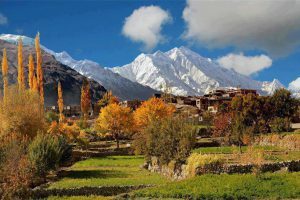 We operate autumn tours to Hunza, Skardu and Phandar on fixed departure basis and on request as private tours. To know about our fixed departure date please write to us or call us anytime.